Zara are set to change the way you shop in stores | HELLO! 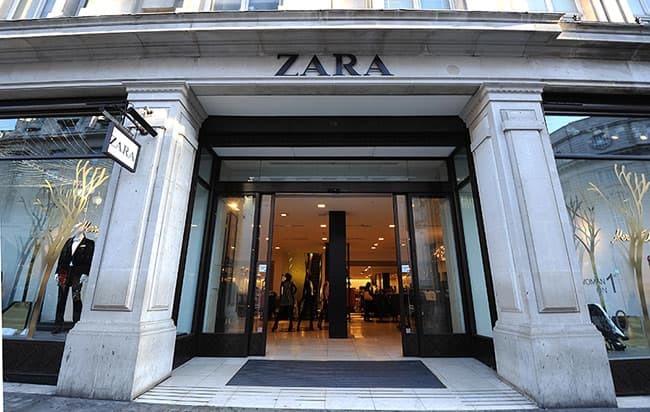 Zara has enjoyed a boom in popularity in recent years thanks to its incredible designer-inspired designs and affordable prices, but one drawback is that it can often mean long queues for both the changing rooms and the checkouts. All that could be set to change though, thanks to some exciting innovations that are being planned behind the scenes at Zara HQ. Refinery 29 UK were taken on an access all areas of the brand's head office in Spain, where they explored the Logistics department, which exists to produce and test high-tech innovations for Zara's 2,100 stores. Among the products in the planning stages are LCD displays for the shops and touch-screens in changing rooms so you can find the clothes you want in different sizes without having to go back out to get it yourself, or find a nearby sales assistant. The brand are also planning to introduce self-checkout stations in a bid to reduce the queues in stores. They have already been installed in some of Zara's Spanish stores, so hopefully they'll be rolled out across the UK soon. Zara are at the top of the fashion game and have continued to develop new innovations both in their stores and their collections. In March they launched an "Ungendered" collection – a 16-piece range of t-shirts, sweatshirts and jeans designed to be worn by both men and women. The collection debuted to a mixed response. While lots of Twitter users praised Zara for answering a demand for more inclusivity, others took offence to the clothing on offer. The collection is mostly oversized and lean towards a masculine aesthetic. Activitist Tyler Ford voiced his concern about the issue on Twitter: "When will we move past this notion that genderless clothing simply = plain t-shirts/sweatpants? Why is this "bold"?"